Embroidering patches on to your clothes is a way to create unique wardrobe pieces, for a look that truly sets you apart from the crowd. You probably remember this trend from the 90s and it’s a fun and fashionable way to get nostalgic and relive your childhood. Patches are a quirky addition to any outfit which enable you to express your personality via your clothing. 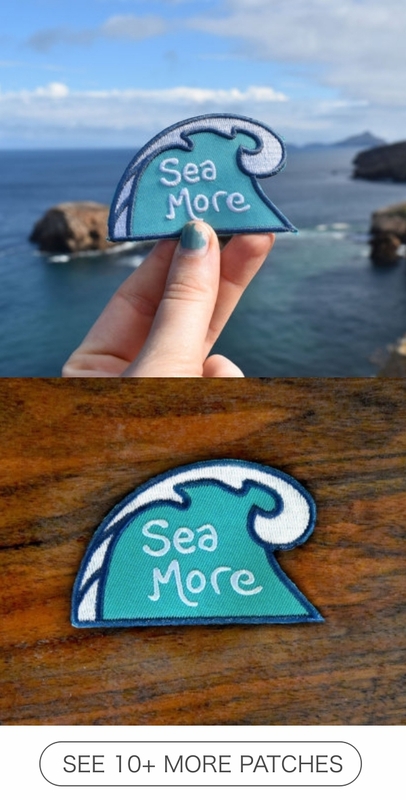 Look at these creative patches to make your outfits look sexier and decide for yourself. For people whose favorite thing in the world is the ocean and just love being out in the waves, this one is just for them. The idea of expanding the horizon by being outside more is what makes this patch so lovable. 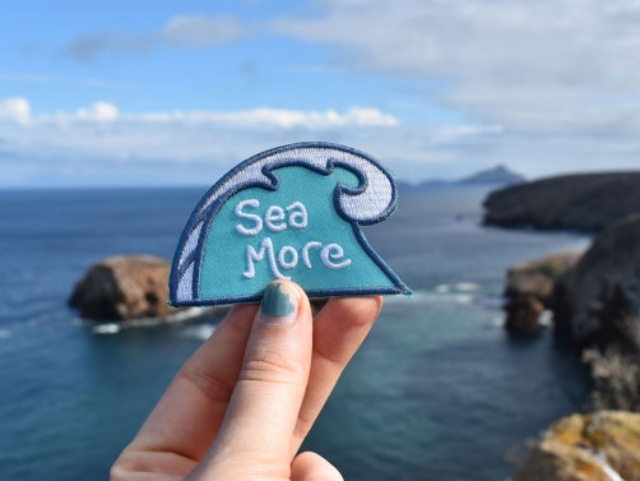 This little blue hand drawn patch is the perfect reminder to go back to the sea! It was recently said that people of our generation measure the success of their life in the experiences and journeys. This is a true statement to the adventurous nature that cannot be held back. This patch will be your reminder of the good times you’ve had and all the trips you still need to plan. The perfect little gift for yourself and your best friend. Make a silly face to proper manners and add a little color to a shirt, a pencil case or your denim jacket! This patch looks awesome on almost all base colors be it blue, black, baby pink or white. Keep reading for more creative patches to make your outfit look sexier. Instagram has been trending from a long time for its cool photos. If you are an instagrammar then this one is just for you. The Instagram logo has a catchy design, and it has become irresistible adding a smiling face to it! This patch looks great on tees, camera bags and even your bag packs. If you can’t figure out where you are going then a compass can be a trustworthy old friend. It will lead you to adventure, safety and bears! Looks stunning on denims. Can work for both guys and babes. 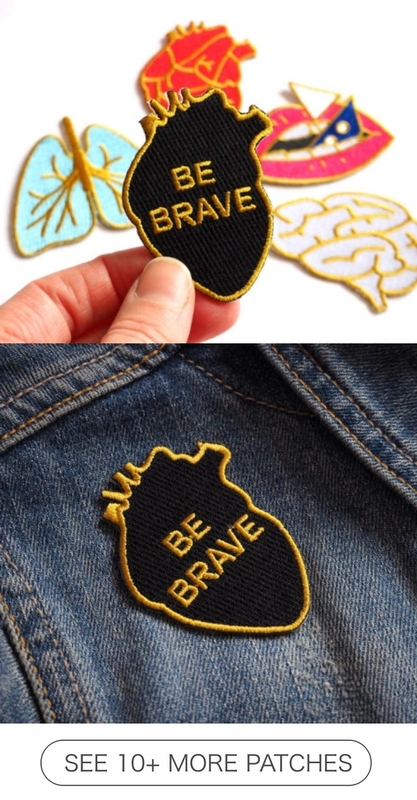 The “be brave” in anatomical heart will simply add courage to your jackets, denims, bags and shirts and will make you out in the crowd. 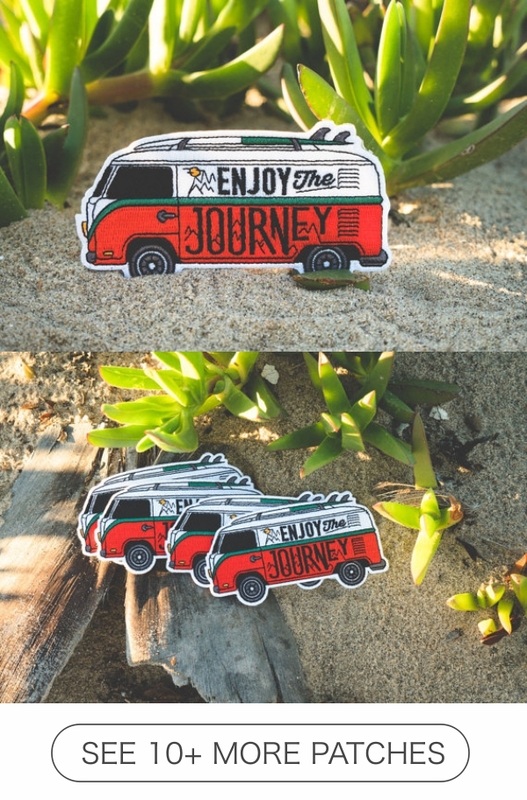 Show your travel bug side to everyone with this cool wanderlust patch. It is perfect for people who believe travel is life and are always ready to explore more. 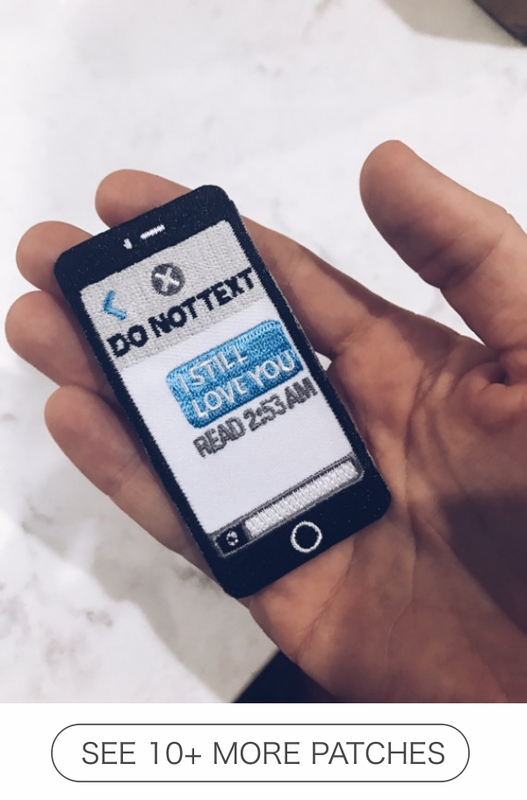 A creative patch to make your outfit look sexier! Believe it or not your phone is constant companion wherever you go. 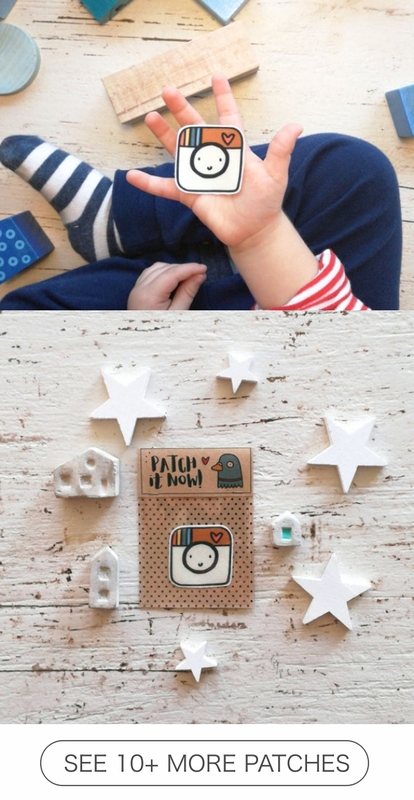 Now you can incorporate your savior from boredom in your style with this cool phone patch. The colorful mountain patch allows you to easily and safely carry nature with you wherever you go without the dangers of being eaten by bears. Looks great on denims and mustard or green background. Show your proud of being a girl with this cute yet cool patch. You can have this on your shirts, cute dresses or even bags. It looks super cute everywhere. Prettiest among the creative patches to make your outfits look sexier. 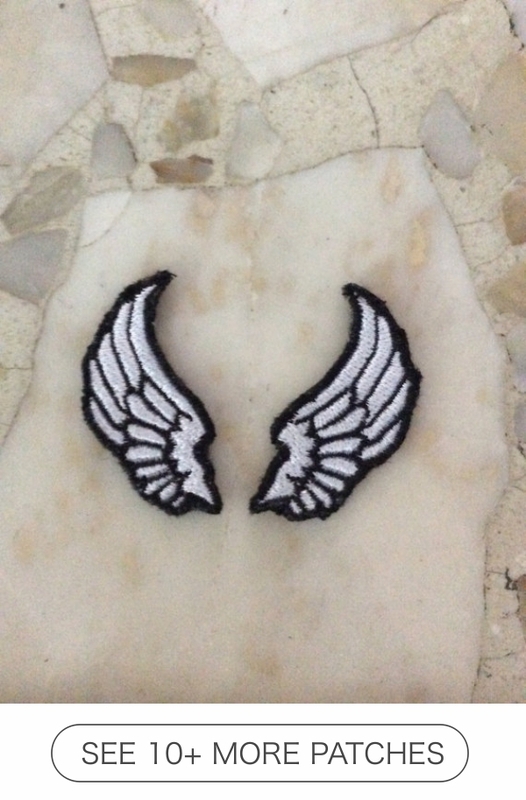 Fly high with your fashion statement by adding this patch to your outfit. Works well on darker backgrounds and bomber jackets. It’s also important not to go over the top with this trend – keep the rest of your outfit simple to avoid clashes.